DESCRIPTION ....NEW PRICE "OPEN HOUSE Sat. APR 20 (1-3PM)....Great INVESTMENT property for Renovators OR the HANDY MAN wanting a home they can personalize. This charming home offers over 2200SF of living space with 5 BDRM's and is nestled on an OVER-SIZED LOT in a quiet Cul de Sac close to Parks/Playgrounds/Schools and brings a Fully Finished 20x28 Garage for all your toys and room for RV Parking. 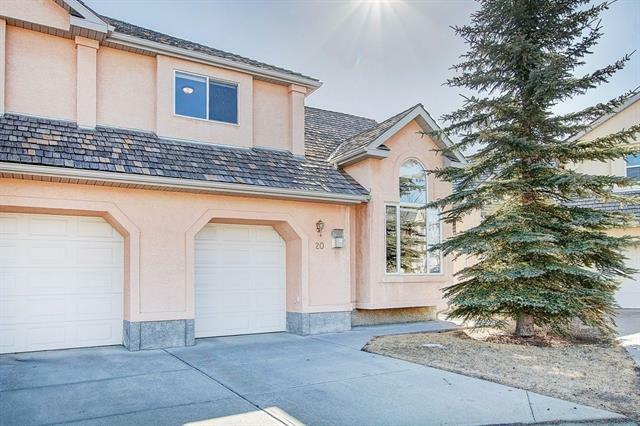 Inviting spacious foyer opens to a bright open FAMILY ROOM, KITCHEN and DINING area complimented by vaulted ceilings. Finishing off the main level is 2 BDRMS, 4PC Bath, LARGE MASTER with 3PC Ensuite. Downstairs you have 2 BDRM’s OR BDRM & OFFICE, 4PC BATH, LAUNDRY ROOM and cozy FAMILY ROOM for movie night. (Basement does require new flooring as carpets were recently removed) Call today to view. Home for sale at 35 West Gissing Rd Cochrane, Alberts T4C 1L6. Description: The home at 35 West Gissing Rd Cochrane, Alberta T4C 1L6 with the MLS® Number C4222581 is currently listed at $399,900.